Cons: Celebrated it's one year birthday by dropping dead. 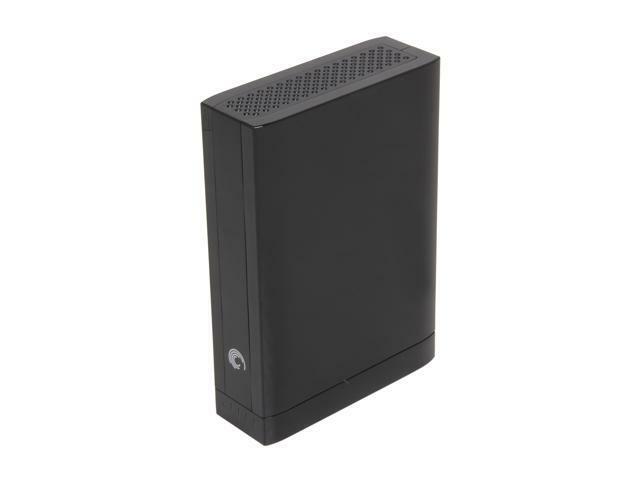 Pros: Price when purchased was good and I always had good luck with Seagate drives. Cons: About 2 months ago I started getting error messages while watching movies and passed it off as either the computer or X-Box. Now it is getting hard to move files and transfer items from this drive to my smaller drive. I can already read the writing on the wall, crash city here we come. I just hope I am able to get everything moved in time. Cons: Won't stay connected when ever its plugged in it disconnects all the time. Unable to test it because it wont stay connected long enough for me to test it. Dont Buy It. Buy Western Digital I have never had a problem with them. Every seagate I have owned has given me some trouble. Sometimes works at USB 3.0 speed. Cons: Works only at USB 2.0 speed with the very same USB 3.0 PCI-E controllers that always gave USB 3.0 speed with Western Digital Elements and cheap USB 3.0 drive enclosures. Other Thoughts: Apparently Seagate isn't familiar enough with its own product to explain its slow speed with the most common USB 3.0 controller chips in the world (Renesas uPD7020xxx). They also denied there's any firmware in this GoFlex drive, yet the firmware for the internal drive is version CC9D and the firmware for the interface is 0D.1.9. Seagate tech support is much worse than it was in a prior century. Pros: I use this as a monthly backup drive. It is in my closet unless I am preforming the backup. Cons: I can't think of anything wrong with it. I have not had any problems and I have moved terabytes of data at a time with no issue. Other Thoughts: Great drive. I have not had any problems whatsoever. Pros: I use these for work to back up and archive large amounts of video files. I am now on my 18th drive in 2 years and no failures yet. The base is one of the best parts. I keep two plugged in to my computer and anytime I have to switch drives I just pop a new one on without having to unplug cords. The only issue I have ever had was when I knocked one off of desk while it was on. Even then I was able to retrieve most of the data, but that was my own fault. Cons: No cons. I'm sure I can come up with some but seriously, it's a 2TB drive for less that $150. It's perfect for backing up data. Pros: Works! USB 3.0 connection, doesn't get too hot. Cons: only 2 year warranty. Other Thoughts: any hard drive should carry a 5 year warranty, anything less is sad.